All three of the standard field sobriety tests an officer in Ohio will administer are subject to human interpretation, and therefore subjective in nature and open to human error. In addition to possible errors in interpretation of the tests, there are a number of variables that could impact how well you perform the tests which have nothing to do with whether you have been drinking or not. Walk and turn: In this test the law enforcement officer will ask you to take nine steps in a straight line, while walking heal to toe, then turn taking a series of small steps around your left foot and walk back the same straight line, heal to toe. 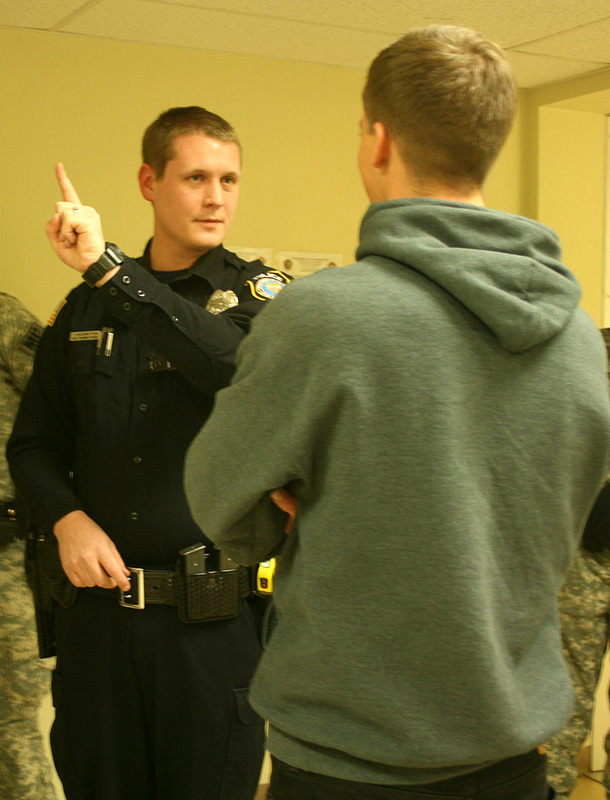 In this test the officer looks for whether you can stay in position while listening to directions, follow the directions, stay steady while walking, not lose your balance, stay on the line, touch heel to toe every time, and not use your arms to balance. What can interfere with passing this test: Something as simple as an uneven road surface or loose gravel can cause a false positive result in the walk and turn. In addition, if you have an inner ear infection, or skeletal, feet, leg, spine, or muscular issues, any of those could cause the law enforcement officer to judge this as a false positive test result. In addition, depending on what you are wearing, this could also effect the outcome of the test. For example, tight fitting clothes or high heels would negatively impact your ability to pass this test. Horizontal gaze nystagmus: In this test, the law enforcement officer is trying to determine if there is an involuntary eye movement that causes you to be unable to smoothly follow an object left and right with your eyes. What can interfere with passing this test: A number of brain injury or brain damage conditions may cause a false positive when taking the horizontal gaze nystagmus field sobriety test. In addition, if you are tired, or there isn’t sufficient light for the law enforcement officer to see your eyes well, this could lead to a false positive. One-leg stand: An officer requires you to stand on one leg and count until instructed to stop, while the officer looks for imbalance. What can interfere with passing this test: As with the walk and turn test, any number of muscular, skeletal, feet, leg or spine problems could cause you to fail this field sobriety test in the opinion of the administering law enforcement officer. If you’ve been arrested as the result of field sobriety tests, do not take these accusations as the final answer in your case. You need to get the representation of a skilled attorney who can help you navigate the treacherous landscape and dispute findings based on subjective testing. The Maher Law Firm can help make sure that your rights are protected. Founding attorney, Colin Maher is a National Highway Traffic Safety Administration (NHTSA) certified practitioner for field sobriety testing, which is the same training police officers take. This training helps him evaluate and challenge the evidence collection and testing conclusions drawn by the officer. Call The Maher Law Firm today for a free consultation at 614-205-2208 or contact us online.